Have you ever considered opening up your own catering business? Or ever just wanted to do the catering yourself at your next party? If either of these thoughts have ever crossed your mind there are a few things that you will need, aside from possessing great cooking skills that people simply adore! You will require a piece of great equipment that will make cooking tasks go by with ease. Purchasing a hog roast machine is an extremely large investment. 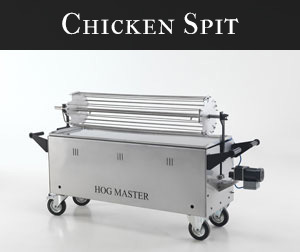 In fact, many people that are wanting to start hog raosting commercialy or simply want to use a machine for personal use, do not have an adamant amount of funds up front to be able to purchase one of our machines. This is why we have made hog roasting that little bit easier on you; we offer the option to hire our machines for an allocated frame of time. 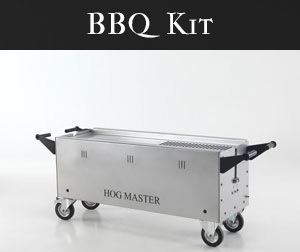 When you hire a hog roast machine you will be able to decide upon the amount of time that you will require the machines service. We do require that you let us know in advance when you wish to hire the machine, so we can ensure that the machine is delivered to your location. There are so many different things that you can cook with one of our hog roast machines that many people are astonished that these machines can actually be used for additional dishes besides roasting hogs. In fact, there are some people that may not be large fans of pork products. If this is the case, you can easily roast lamb, goat, or even a decent amount of beef on one of our machines. Aside from cooking simple main courses, our hog roast machines for hire can also be used to cook perfectly roasted vegetables if you desire. Remember when it comes to starting a catering business, if you do not have the proper equipment for the job, you are simply making the task a lot more strenuous that it has to be. Our hog roast machines for hire can easily cook enough food for a group of 125 people. However, if you are opting to cook for more people that the suggested 125, you may want to consider obtaining two of our machines to double your cooking power. A lot of caterers when they are first beginning their business are simply trying to get their names out to potential clients. With the amount of money that new caterers are already having to invest into their businesses obtaining equipment can put a large financial burden on their overhead that they put aside strictly to begin working for themselves. We understand that the economy may not seem promising. This is why we offer the alternative to hire our machines that come equipped with all of the accessories that you will need to cook a meal for a large group of people. 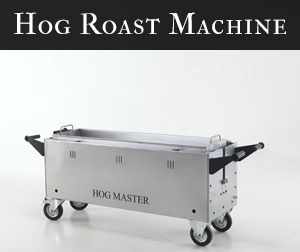 Our hog roasting machines contain several wheels along their bottom base. This gives you the option to transport the machine from one area to another. Inadvertently, you can easily choose to hire a machine from us and begin your catering company off on the right foot. Hiring a machine from us is the perfect solution if you’re looking to provide catering for a large outdoor event. For example, if you’re having a fete in Market Rasen, and you want to try and get people to come, then some freshly-cooked spit-roasted pig is just the ticket. All you have to do is buy a pig from a local butcher, who’s likely to be more than happy to help you out, find something to glaze or marinade it with to make it look even more enticing to passers-by, and then leave it to cook until ready. You can’t go wrong with that. Our machines are portable, which means it’s easy to move them around in case you want to get to people who are some distance away want something from the pig. They’re also versatile, as they can cook many different kinds of meat, poultry or, if needs be, a vegetarian alternative such as a nut roast. Ease of use is another reason why hiring a machine makes sense. As well as cooking the meat a lot more thoroughly than a barbecue grill, it’s also less time consuming, as you have to wait a while before you can put meat onto a grill, whereas with a Grimsby hog roast machine hire, you just put the meat straight onto it securely, turn it on and leave it for around six hours until ready. Hiring a machine is the best option if you’re a restaurant owner trying to gain new customers by spiriting them away from eating out nearby just put on a Horncastle hog roast party, and nothing quite stands out on a ‘Specials Menu’ like spit-roasted meat. Widely believed by many in the catering world to be the best way to cook meat, spit-roasting it, especially with one of our machines, makes it look and taste better. Having a hog roasting machine in your kitchen is very useful indeed. If you want to cook a large amount of meat, and there’s only so much space in your oven, then you can use the machine. It can accommodate either a whole pig, a large leg of lamb, beef joint, two whole turkeys or four whole chickens and cook all of them to perfection, while you’ve got the oven spare to cook more veg or other sides. Having more food to serve is great if you’re busy. In addition to that, adding a glaze, marinade or garnish like streaky bacon or Parma ham to the meat is easy, and makes it look better when cooked. As it also has wheels, you can move it to the main dining area, dazzling your customers with its beauty. You can also serve the meat straight from the machine to the plate too, which saves time and is a lot safer than getting a joint of meat out of the oven. Hiring a machine would also come in handy if you’re a hotelier, restaurant owner or publican looking at getting some passing trade from the many sporting, cultural and political events happening over here. If you own a hotel or Bed and Breakfast, and want to persuade your guests to stay for lunch or tea, then you need something special to entice them, and this is where something cooked on a hog roast machine comes in. In a kitchen at a hotel, the room you have in your oven to cook meat, vegetables and everything else on your menu is finite. However, having one of our machines means you have more leeway for cooking meat on it, while you have the oven spare to cook more veg. Being able to cook more means you’ve more food to serve to your customers, so some of them won’t be kept waiting if you’re busy. In addition to that, meat cooked on a hog roasting machine is easy to serve, as all you have to do is cut straight from the pig, beef joint or turkey and put it straight onto the plate. That way, you don’t have to reach into an insanely hot oven, and there’s no risk of dropping it when putting it onto a cool surface. Hog roast catering is growing in popularity, and, to meet that need, we do our very best to meet the needs of the good people of Market Rasen, whether it’s by providing the catering at a family event or corporate gig or if it’s providing the equipment necessary for you to have a go at it yourself. If you have any questions about our Horncastle hog roasts , or if you want to know more about our menus, then we’re just a phone call or e-mail away, and we’ll get back in touch as soon as possible.